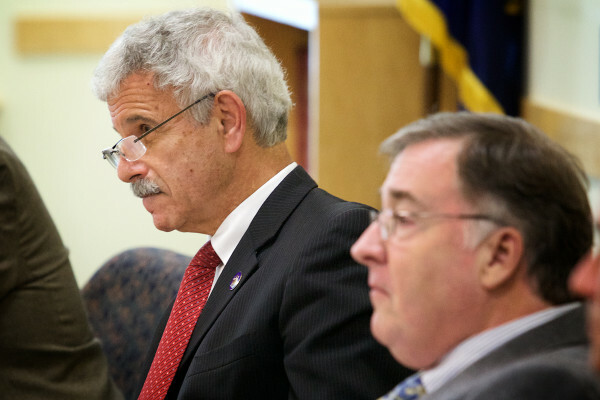 Sen. Roger Katz, R-Augusta (left) and Rep. Chuck Kruger, D-Thomaston, co-chairs of the Government Oversight Committee, listen to public comments on the Good Will-Hinckley and Mark Eves controversy in Augusta on Thursday. 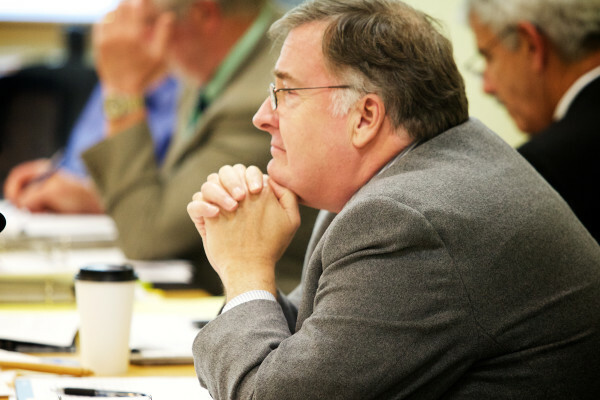 Rep. Chuck Kruger, D-Thomaston, co-chair of the Government Oversight Committee, listens to public comments on the Good Will-Hinckley and Mark Eves controversy in Augusta on Thursday. 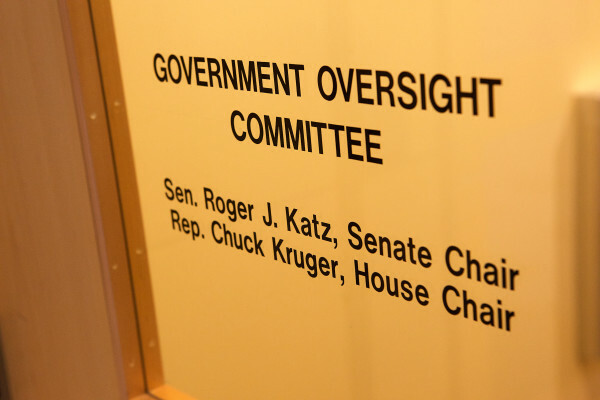 Members of the Government Oversight Committee listened to public comments on the Good Will-Hinckley and Mark Eves controversy in Augusta on Thursday. Rep. Ben Chipman, D-Portland, speaks to members of the Government Oversight Committee about the Good Will-Hinckley and Mark Eves controversy in Augusta on Thursday. 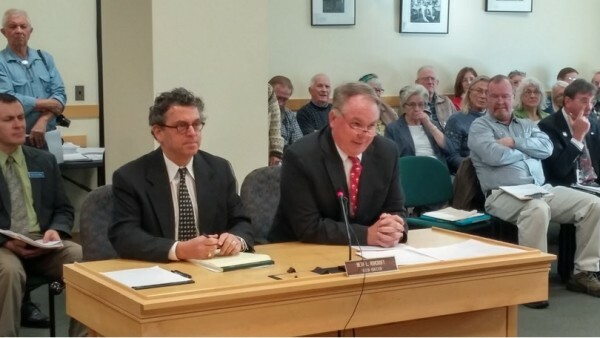 Jack Moore (right) chairman of the Good Will-Hinckley board of directors, testifies to the Legislature's Government Oversight Committee on Thursday, Oct. 15, 2015, about Gov. Paul LePage's role in forcing the organization to rescind an employment contract with Democratic Speaker of the House Mark Eves. AUGUSTA, Maine — The chairman of the Good Will-Hinckley board of directors told lawmakers on a government watchdog panel Thursday that Gov. Paul LePage’s threat to withhold state funding because of the school’s hiring of Democratic House Speaker Mark Eves placed the school’s existence in jeopardy. Good Will-Hinckley Chairman Jack Moore, in lengthy questioning by the Legislature’s Government Oversight Committee on Thursday morning, said LePage’s threat to withhold $530,000 in state funding under the governor’s discretion likely would have caused Good Will-Hinckley to lose millions in grant funding from the Harold Alfond Foundation. 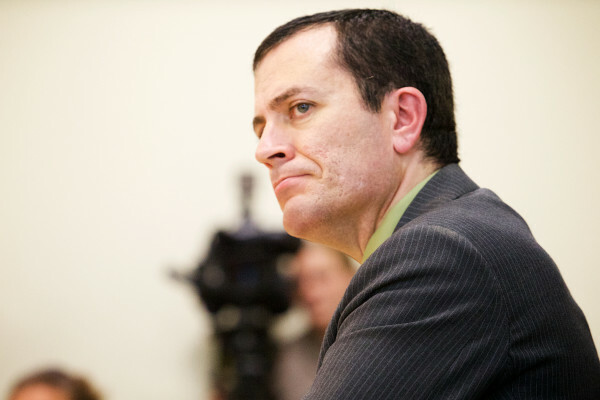 Moore’s testimony confirmed much of what has been uncovered by the media and the Office of Program Evaluation and Government Accountability: That by threatening the funding, LePage, his staff and acting Education Commissioner Tom Desjardin were directly responsible for Good Will-Hinckley’s board canceling a $120,000 per year employment contract with Eves. Eves has since filed a federal civil lawsuit against LePage, who has not denied that he leveraged the state funding to force Eves out. Moore said that in addition to a handwritten note from LePage that called Eves a “hack,” which Moore said he threw away, and a formal letter written by the governor in early June, communications to the board’s interim president raised a major “red flag” about the funding. Thursday’s hearing was expected to last for much of the day. Dozens of onlookers were present, many of whom intended to talk during the public comment portion of the proceedings.